We understand you’re busy enough running your business. 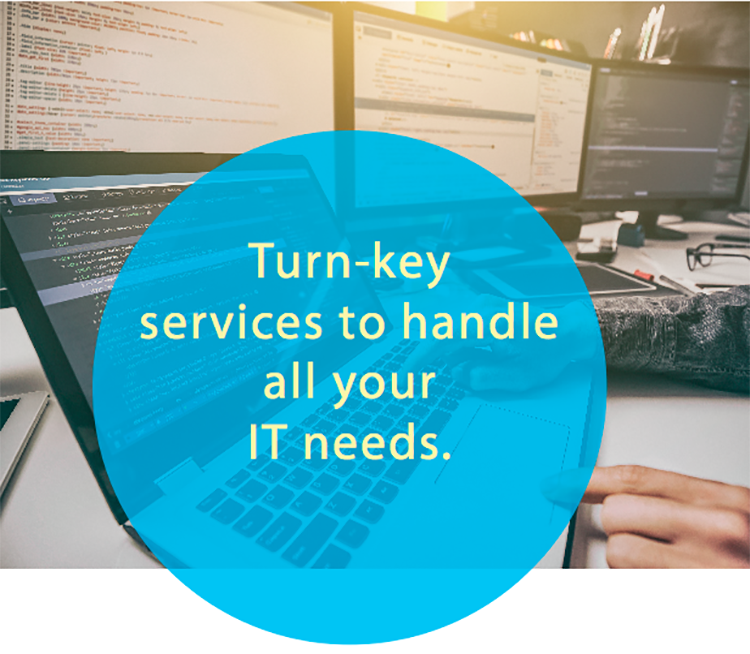 PHD has turn-key services to handle all your IT needs. Already have an in-house IT person and only need additional network or security support? We customize to your needs, whatever they may be: security awareness, effciency, state of the art security, network reliability and consistency, mobile integration and management, cloud services, making sure you’re in compliance with regulations and file storage security – let’s work together to find what solutions will best suit your individual business goals and needs. PHD offers reliable and trustworthy virtual Chief Information Offcer support. If you have a vision and need help turning it into strategy, PHD’s virtual CIO includes all the benefts of an experienced CIO without the high overhead costs. Our virtual CIO service will help set up your business for successful growth and eliminate potential problems for the future. Cloud Storage: Backup and storage of files with regular remote access, syncing and sharing. ce 365, Google Apps, Quickbooks Online and Salesforce. Cloud Hosting: Facilitates various types of information sharing, such as email services, application hosting, web-based phone systems and data storage.